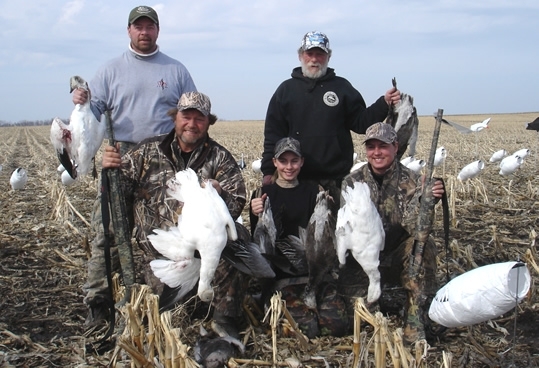 Premier Flight Guide Service has long established itself as one of the nation's top guides for snow goose hunting from Arkansas up to South Dakota. We are real guides. We're not some group of fellas taking you out to our family field - we are a team of guides who chase geese around the country for a living. 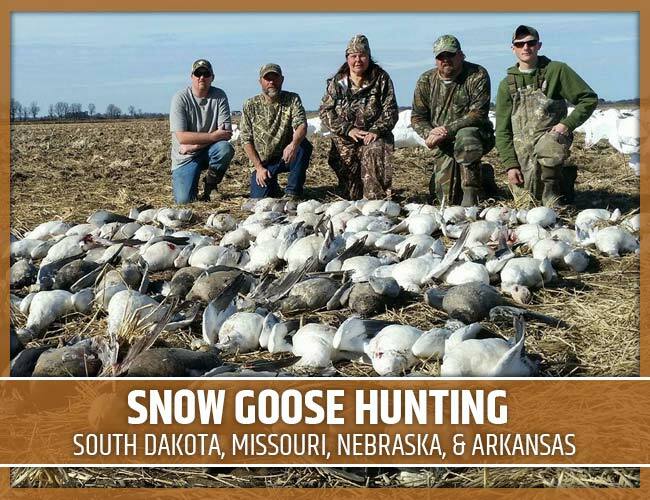 Our spring is spent chasing the snow geese from their southern holding areas in Newport, Arkansas, next on to Squaw Creek, Missouri, then up through the hearty crop lands of Adams, Nebraska, and finally to the last staging area in the Thompson Lake region of South Dakota. We always have one team of snow goose hunting guides in the field with you while another pair of guides are scouting fields ahead. The birds don't stay in one field for very long so we keep mobile to give us the best chance of shooting birds. Of course we have the best electronic callers, decoys, and blinds. But what really matters is the unbelievable variety of fields we access every day. You won't sit in a pit watching geese land in the next field over - you will hunt in a field blind and we'll put you in the field where the geese want to land! Come hunt our nationally recognized fields and guides , as seen in Waterfowl Magazine and Babe Winkleman TV! After you hunt with us, you'll know why people keep coming back. Our success rate is one of the best in the country! 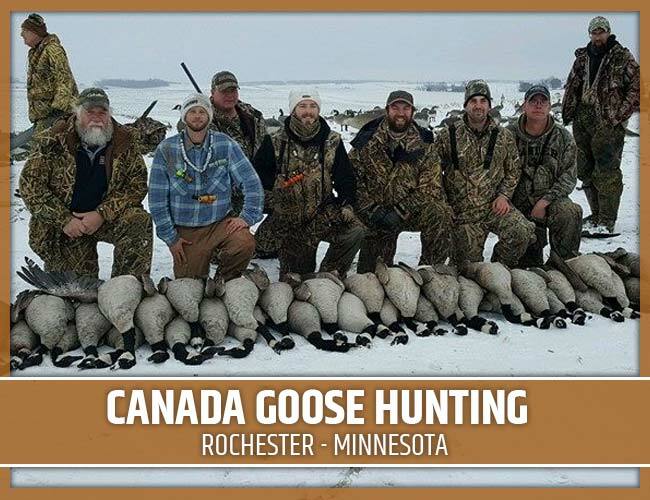 Premier Flight Guide Service has long established itself as one of the top guides for goose hunting Rochester, Minnesota. Our dedication and strong customer base have helped us build our services to include more fields throughout the Rochester area. We are now more capable of harvesting birds consistently throughout the fall goose hunting season. Come hunt our nationally recognized fields, as seen in Waterfowl Magazine and Babe Winkleman TV! After you hunt with us, you'll know why people keep coming back. Our success rate is one of the best in the country! We constantly update our hunting reports over the course of each season. We honestly try to keep our hunting reports current each week so that you can watch the migration and know exactly what we are experiencing in the field. 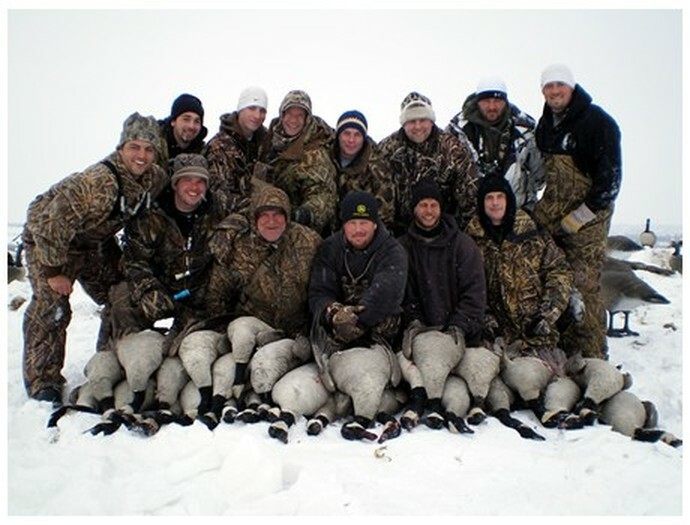 Our guided hunts are designed to give you the best opportunity to say on top of the birds. Our fields are in prime locations throughout the Rochester area. Most of our guides are in the field upwards of 120 days every year. 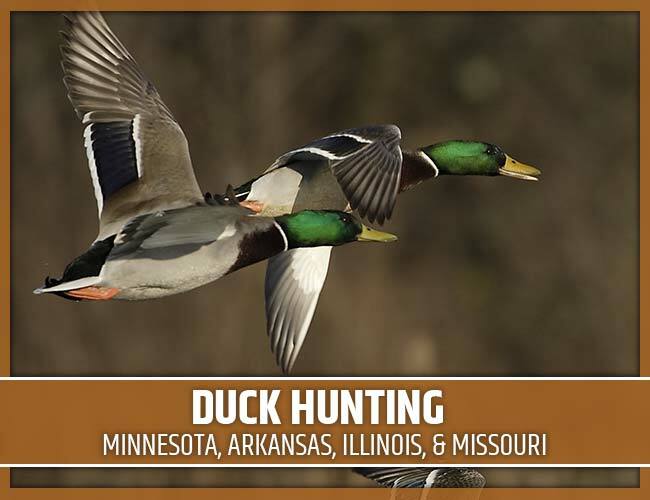 With our guided duck hunts, you will have the opportunity to hunt mallards, wood ducks, pintails, teal, gadwall, shovler and widgeon in Minnesota, Arkansas and Missouri.